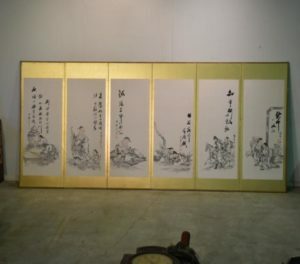 A behind the couch size antique Japanese 6 panel screen. SKU: 10957. Categories: New Arrivals, Screens, Scrolls, Art.